Coming at you with another Shein fashion haul, check out my last one here, and I've styled 3 tops that'll have you swinging into Summer in style! My first look feature's Shein's white embroidery ruffle trim blouse. I found that this ran slightly large but makes for a lovely breezy top perfect for girls who don't want to show off too much skin up top this Summer! And I'll admit, the flare in the bottom half is ideal for concealing any overindulging if you know what I mean, (goodbye food-baby). Switch up this look with a pair of denim skinnies and cute pumps. My second outfit styled their sleeveless velvet crop top with black Leigh jeans and a sheer kimono. I was running around Hong Kong that day so this look meant movement wasn't restricted, I felt comfortable and still put together. It's amazing how much heat velvet retains so bear this in mind if you love this piece as much as I do! 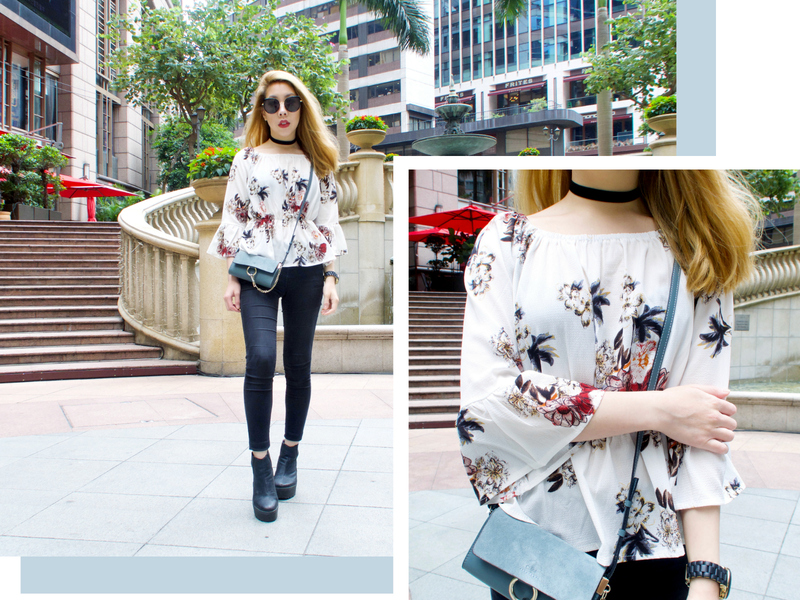 It was a rainy and gloomy morning when I left the house so velvet paired with the kimono kept away the chill and by the time humidity and sunshine hit me square in the face in the afternoon (hello HK weather), I slipped out of the sheer cover up for a breathable Summer outfit. 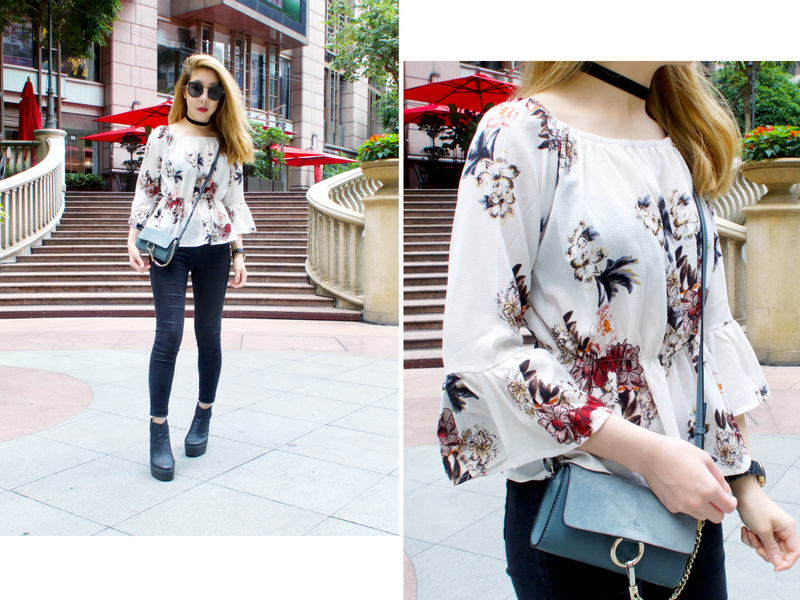 My last look styled Shein's floral peplum blouse with the same Leigh jeans as found in the second outfit. I love that this blouse cinches in at the waist to give you more shape, but my favourite part of this top are the bell sleeves! I am digging the extravagant, frilly, fluted bell sleeves that all fashion bloggers are rocking this season. But I'm not one for the dramatic flare that hides even the tips of your fingers, mainly for practicality sake - I'd be dragging it all over my food, so the modest flare with Shein's peplum blouse is ideal for uncoordinated people like me (holla). Let me know which look is your favourite in the comments below!